If you are moving to Florida from another state, or if you have bought new wheels from out-of-state, you must register your vehicle with the Florida Department of Highway Safety and Motor Vehicles (DMV). 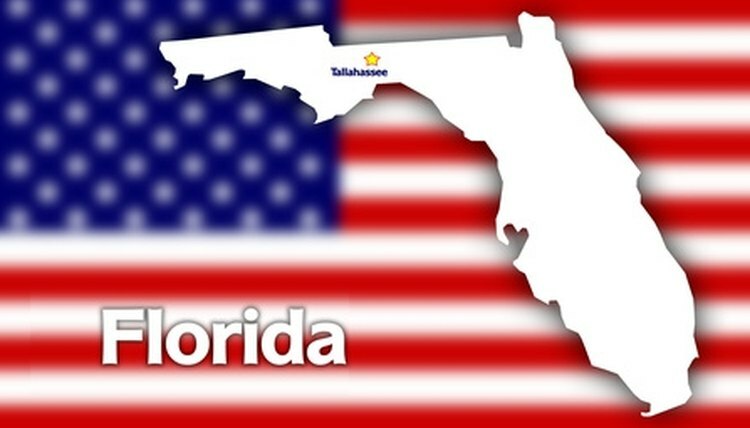 State law requires new residents to finish the registration within ten days of moving into a home, starting a job, or enrolling a child in a public school in Florida. Incoming residents will need to obtain a Florida driver's license before they can transfer a vehicle registration. Gather your out-of-state driver's license or ID, Social Security card, birth certificate or passport, and at least two proofs of residence (i.e. recent utilities bills, bank statements, a W-2 form). Visit the Florida DMV's interactive checklist (see Resources) to make sure you have all the required documents at hand. Bring the required documents to a local DMV office. You can find an office locator on the DMV website. Pay for your Florida driver's license and take the required tests at your local DMV office. If you pass the tests, the DMV office will issue your new driver's license on the spot. Depending on your previous state of residency you may be able to convert your driver's license without taking any tests. Get the vehicle identification number (VIN) verified by an authorized person. An authorized person may be a law enforcement office, a Florida notary public, or a DMV or tax collector office employee. Use the DMV forms 82040 or 82042 for the verification of the VIN. You can obtain these forms online or at your local DMV or tax collector's office. Insure your vehicle with an insurance company that is licensed to do business in Florida. You may do so online or in person at a local insurance office. Bring your Florida driver's license, proof of proper insurance, the vehicle title and the VIN verification form to your local tax collector or county tag office. Pay the required fees and taxes. As of May 2010, you will need to pay an initial registration fee of $225 along with the $28 fee for a new metal license plate and the annual tax. The annual tax varies depending on your vehicle's type and weight. You may pay in cash, by debit card or by major credit card at most locations. However, not all tax collector offices accept all credit cards, so call ahead and make sure your card will be accepted if you would like to pay by credit card. Attach your new license plate to the back of your vehicle, and apply the validation decal to the upper right corner. Florida Department of Highway Safety and Motor Vehicles: Just Moved to Florida And Need to Get a Driver License And Your Car Registered? Florida Department of Highway Safety and Motor Vehicles: What Are the Basic Registration Fees? Based in the Tampa Bay, Fla., area, Alexandra Becker has been a full-time writer with a focus on sports, travel, science and health-related topics since 1996. Her work has appeared in a variety of national and international magazines, newspapers and online publications. She has won two journalism awards. Becker, Alexandra. "How to Transfer a Vehicle Registration to Florida." , https://legalbeagle.com/6555213-transfer-vehicle-registration-florida.html. Accessed 21 April 2019.